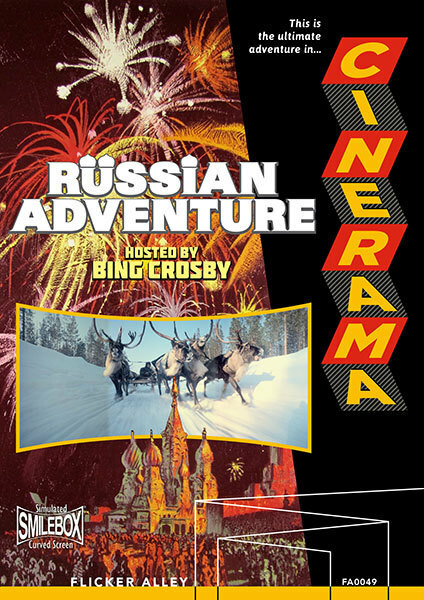 Did You Win A Blu-Ray Of CINERAMA'S RUSSIAN ADVENTURE? Flicker Alley release Cinerama's Russian Adventure on blu-ray November 15th, and we've got a copy to give away to one lucky reader. Photographed over an eight-year period by Russia’s top filmmakers, Cinerama’s Russian Adventure brings together some of the most exquisite, jaw-dropping, and beautiful sequences from over six Soviet Kinopanorama productions (the Russian equivalent of three-panel Cinerama). The film’s locations stretch from one end of Russia to the other, from the snow-covered countryside to the majestic subways of Moscow, from the deck of a whaling ship to the front seats of the Bolshoi Theater. Bing Crosby narrates the journey, offering both a grand and intimate view of a country and culture so often cited and yet so seldom seen. 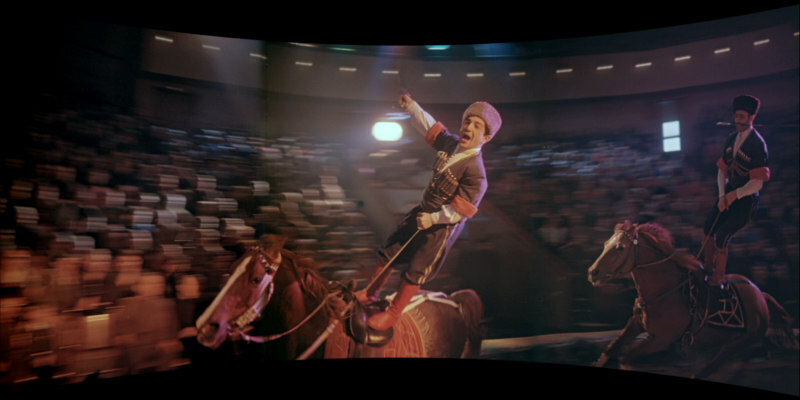 In classic Cinerama style, your first glimpse of Russia is from behind the reigns of a troika, a traditional three-horse sled, speeding through the snow. Next, you’ll land in Moscow for spectacular shots of the Kremlin, the Volga River, the bustling street life, and a spring carnival complete with singing, dancing, and clowns on stilts. From there, you’ll marvel at the dazzling Moscow Circus, take a raft ride down the Tisza River, join in a wild antelope roundup on the Barsa-Kelmes, and witness a show-stopping performance of the famous Moiseyev Dancers. The most visceral sequences, though, take place not on land, but on water: the spare-no-details whale hunt aboard a factory ship in the Antarctic and the alien voyage of an octopus as it glides beneath the sea. For more info visit www.flickeralley.com/classic-movies/#!/Cineramas-Russian-Adventure/p/68178472 where for a limited time you can pre-order and get 25% off.